It seems like not a week goes by that a major news story doesn't rock the Canadian real estate market regarding mortgage rates. While it's true that mortgage rates are an important factor when it comes to homebuying, it's even more essential for Canadians to understand exactly how mortgage rates work, and how they can affect home loans. 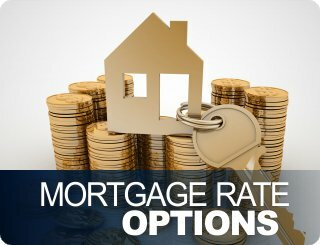 A mortgage rate is a term used to describe the interest on a home loan. For most individuals, obtaining a mortgage is a necessary part of buying a home. Mortgage rates are figured on the principal balance of a home loan, meaning how much money is still owed before the loan has been fully repaid. Since a higher balance means more interest, mortgage rates are typically more expensive at the beginning of a loan. As the balance is paid off, less interest is able to build up. This is also why homebuyers spend so much time searching for low rates, as lower interest means less money owed. Additionally, since mortgage rates mean that more interest is able to build up, higher rates make it more difficult to pay off a loan faster. Since more money is being put toward paying off interest, it's harder to lower the actual balance of a loan. 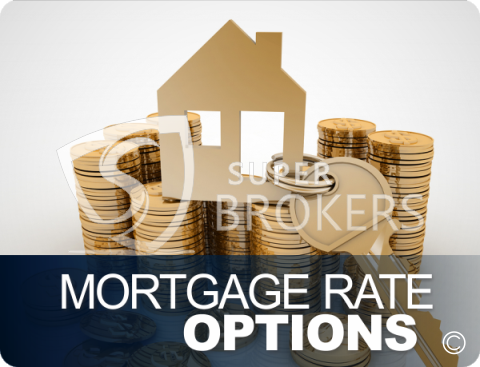 The mortgage rates that are offered by lenders are dependent on a number of factors. The primary factors are market conditions, whether it's bond yields, consumer sales or employment. However, an individual's mortgage rate is also dependent on their personal financial situation. For instance, a mortgage borrower with a good credit score is much more likely to obtain lower rates than a borrower with poor credit. Mortgage rates can also be reduced by certain provisions included in a home loan agreement. For example, paying points can result in a lower mortgage rate. A point is interest that borrowers can pay off upfront. While this costs more initially, it can save borrowers a considerable amount since this interest will no longer be built up on the mortgage balance. Investing in a higher down payment can also reduce a borrower's mortgage rate. More money paid upfront means less risk for the lender, meaning they can afford to offer a lower interest amount. One strategy that many buyers turn to in an attempt to obtain lower mortgage rates is hiring a mortgage broker. Brokers are professionals whose job it is to bring together borrowers and lenders. Mortgage brokers often have networks of contacts they can use to find a loan that suits a borrower's specific needs. Additionally, brokers often have access to lenders that borrowers would not be able to do business with on their own. This can result in a lower mortgage rate than is offered at a borrower's local bank. Another strategy that will result in less money spent on interest is opting for a shorter amortization period. An amortization period is how long a borrower has to repay the money they borrowed. A longer amortization period means more time for interest to build up, therefore a lower period will result in less money put toward interest. However, a shorter period also means that monthly payments will be higher, as a borrower will have less time to repay the entirety of their loan. However, in the long run, this strategy will save borrowers money. This entry was posted in Financial Planning, Residential Mortgages and tagged home buyer, home loan, interest rates, mortgage broker, mortgage rates by The Super Broker. Bookmark the permalink. Great post! The only thing I would add to it is a section on why mortgage rates are so low right now – why they were initially dropped to help us deal with the recession, how they were kept low while America went into recovery, and why and when they will be raised once again.